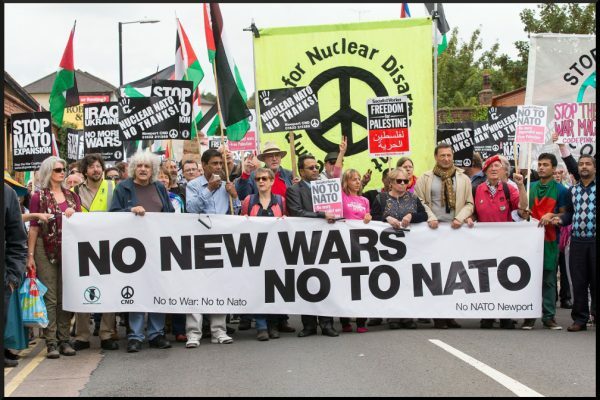 UNAC in Sochi and Moscow – Stop the Wars at Home and Abroad! 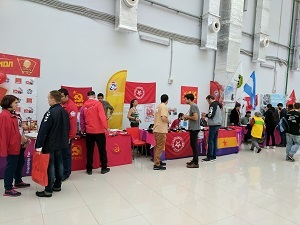 UNAC members were asked to speak at the World Festival of Youth and Students in Sochi, Russia and in Moscow by peace activists from the region. The Sochi festival was attended by 30,000 young people from more than 150 different countries. Large delegations were present from Russia, Cuba, Syria, Venezuela, North Korea and many other countries. A small delegation was also present from the U.S., which included some members of various UNAC affiliated groups and others. This was the 19th such Festival since 1947 and the first one held in Russia since the fall of the Soviet Union. These festivals are sponsored by the World Federation of Democratic Youth, an international youth organization, which characterizes itself as anti-imperialist and left-wing. The first such festival that was held after the fall of the Soviet Union was held in Cuba during what the Cubans called their “special period,” when shortages were extreme due to the fall of the Soviet bloc countries and the devastating blockade imposed by the U.S. However, the Cubans felt that the festivals should continue and so they held it in their country during this difficult period. 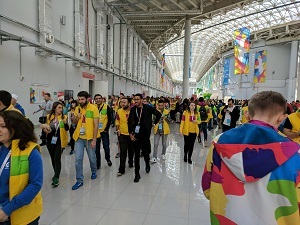 The conference, which was held in the complex built for the Sochi Olympics, included cultural, science and sports activities as well as a discussion section, which featured panel discussions and large meetings on a number of political topics of the day. All presentations were simultaneously translated into many different languages. Many of the discussion sessions where held in auditoriums with names of revolutionary leaders like Che Guevara, Lenin and Fidel Castro. UNAC co-coordinator Joe Lombardo spoke on a panel on the Struggle Against Imperialist Wars. That panel also included representatives from Cuba, North Korea, and Cyprus as well as Iraklis Tsavdaridis, the head of the World Peace Council. Joe gave a history of the U.S. antiwar movement from the Vietnam War through today and specifically countered Donald Trump’s recent attacks on Iran, Venezuela and North Korea. The talk was received very well, especially by the delegations from the 3 countries mentioned. Major presentations were held in larger auditoriums, including one that seemed to be mainly organized by the Cuban delegation called the “World Anti-Imperialist Court.” It was a contrast to the World Criminal Court, which mostly seems to prosecute people from Africa. 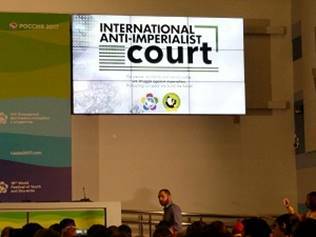 The World Anti-Imperialist Court heard from Elián González (here is an article about his presentation: http://walterlippmann.com/elian-called-for-unity/). The Puerto Rican political prisoner Oscar Lopez Rivera also spoke as did representatives from North Korea and other countries that the US has attacked. Besides speaking about his own case, Oscar Lopez Rivera spoke about the criminal response of the U.S. to the hurricane that hit Puerto Rico. The US was found guilty of imperialist crimes. The conference was not without controversy. At the opening ceremony, which was addressed by Putin, many leftists, especially those from the youth group of the Russian Communist Party who tried to bring red banners with hammers and sickles into the stadium, were blocked from entry. So they organized their own opening ceremony. Other leftists reported being harassed as well. Many felt that there were attempts from the Russian government to privatize the festival by having sponsorship from banks and corporations and having displays from them at the venues. However, through the discussions the progressive character of the festival came through. At the same opening ceremony where Putin spoke, the head of the World Federation of Democratic Youth spoke and welcomed people. In his talk, he thanked Putin and the Russian people for hosting the conference and then spoke about its true meaning. His talk can be seen HERE. 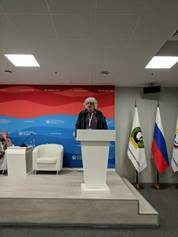 At the end or the conference, Joe Lombardo and another UNAC member went to Moscow where they had been invited to speak to students at two universities. A teacher from one of the universities had attended and spoken at the last UNAC conference in Richmond, VA. The talks were received well with lots of good discussion. The trip afforded us the opportunity to meet and speak with activists from many different countries and to let people know that there is an antiwar movement in the U.S. that holds positions that are not heard through the international media. The panels and discussions where good places for an exchange of views with others that are fighting imperialism throughout the world. We know that the movement against the U.S. war must be international. Our Russian trip was a step in that direction.